This article will explain how to download Sharepoint 2007 Virtual PC Image, Installation and configuration. Sharepoint Virtual PC Image is a preconfigured virtual machine contained within the Virtual Hard Disk (VHD) format. System Requirement: Sharepoint Virtual Image can be run on Windows Server 2003, Windows Vista and Windows XP. I recommend that there should be atleast 2 GB of Ram and 20 GB of Free Harddisk Space. 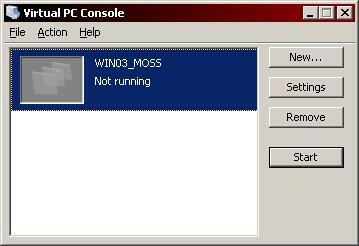 Step 3: It will create following files in folder you have choosen while installing VPC Image. Step 5: Ones you are done Installing Virtual PC 2007, you can able to view Sharepoint Image by simply double clicking on file with extension .VMC. Didn't find what you were looking for? Find more on Download and Install Sharepoint Virtual Image Or get search suggestion and latest updates.